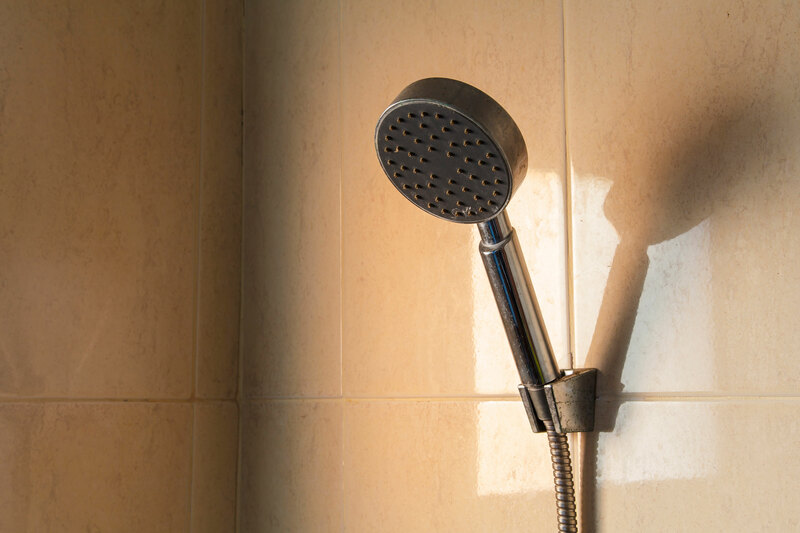 Is the grout in your shower area tired looking, molding or falling out? Is the caulk turning colors or worse, cracking, leaving holes that water can get through which can result in damage to the sheetrock walls (see photos)? Then please give me a call. 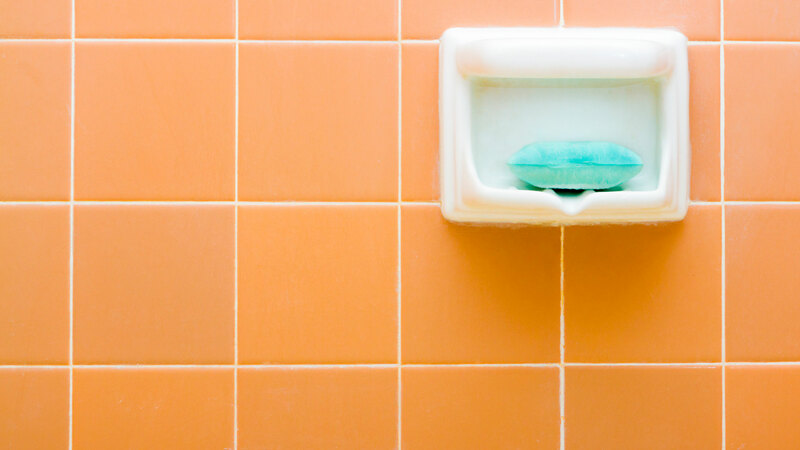 Regrouting is a very affordable way to spruce up the look of the existing tile in your bathroom and at the same time help prevent costly repairs. Perhaps tiles are already coming loose and the wall has become soft and needs to be replaced. Or the plumber had to open the wall to make a repair! 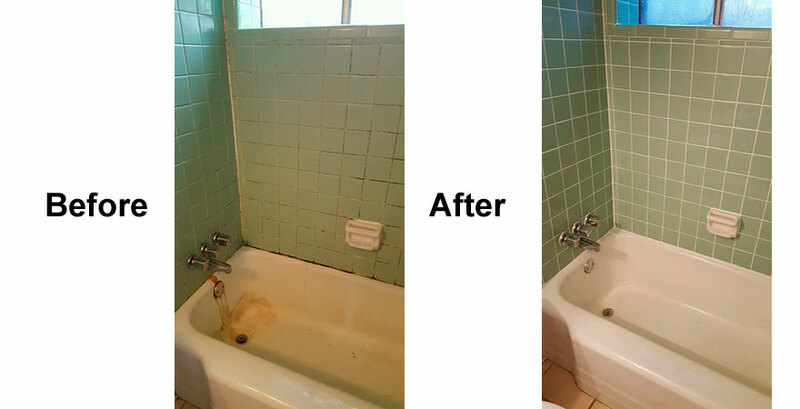 I have the expertise to get your walls back together and make your bath area look as good as new. As a customer myself, I appreciate straight forward, honest talk and quality craftsmanship. Give me a call and I promise that’s what you’ll get from me. I’ll give you a quality job and I’ll treat your house as my own. Tom was doing some work in my neighborhood when I saw an ad on his car and stopped him to see if he’d take a look at the grout in our shower. There was a ton of soap scum from 13 years of wear that had actually stained the grout and it looked awful, and we were getting close to putting our house on the market. He came in and assessed the situation and got to work the next week redoing the grout in the entire shower. He did a phenomenal job on something I didn’t think could be fixed. And he saved me thousands of dollars by telling me how to properly clean the shower pan and doors so I wouldn’t have to pay someone to install new ones. 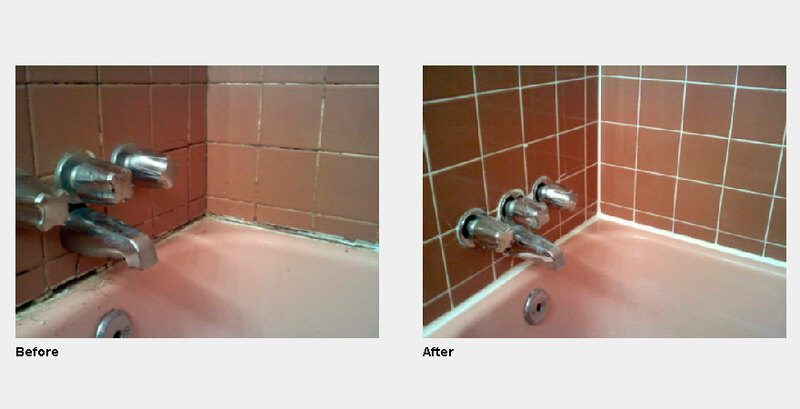 He also touched up the caulk in another bathroom and the kitchen and everything looks amazing. I can’t recommend Tom and Mr. Grout enough! Thanks for a job well done! He’s “King” Grout to me! 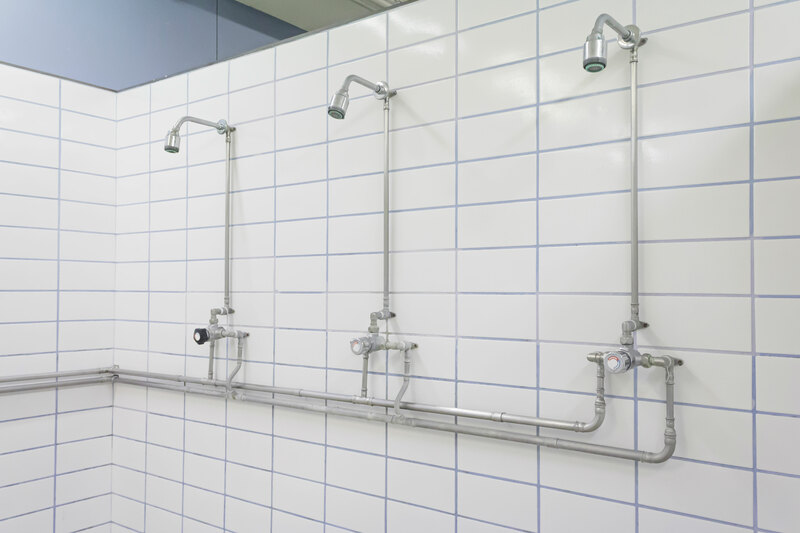 Tom did a great job making my old shower look new! And he was a super nice guy, as a bonus. There’s a huge value in hiring people that I’m comfortable leaving in my house while I run carpool or go to a meeting! Thanks Tom! Quality work, on time, on budget! Tom just left our house after re-grouting & caulking the shower in our master bathroom. He arrived when he said he would, finished the job in the time frame he estimated, and did an excellent job! I only wish I would have taken before pictures to show the missing grout and mildew buildup (that I could never get rid of) that he fixed. The shower looks brand new (which I thought was impossible considering it is 25+ years old) and he did a thorough clean up before he left. 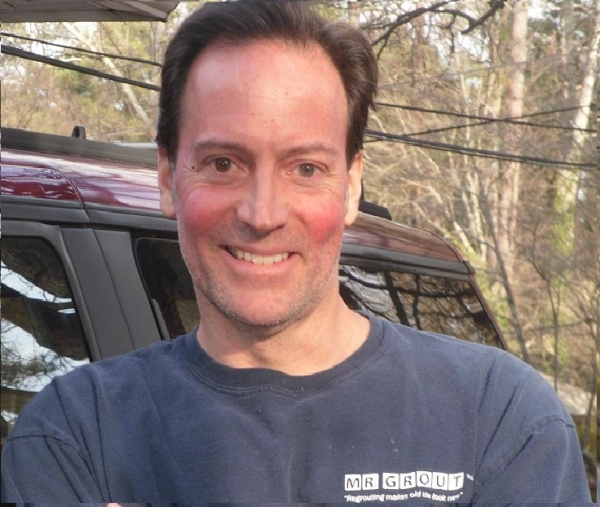 I would recommend Tom to anyone who has grouting/caulking needs. Happy that I now “have a guy” when it comes to grout. Tom regrouted my shower and he did an exceptional job. I had build up for maybe 10+ years! He gave my shower life! Tom is reasonable priced and has great workmanship. He took his time and followed up with me after he was done. I will highly recommend Tom for the job! I had Tom re-grout a bathroom in my old rental house last year. 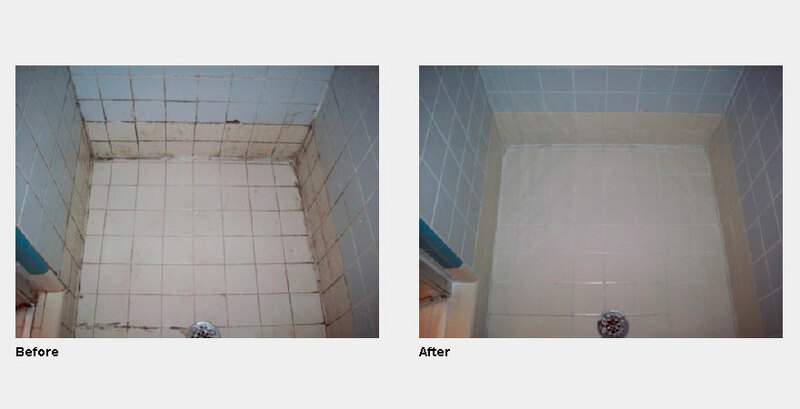 It was very dirty and several of the tiles were uneven and coming loose. 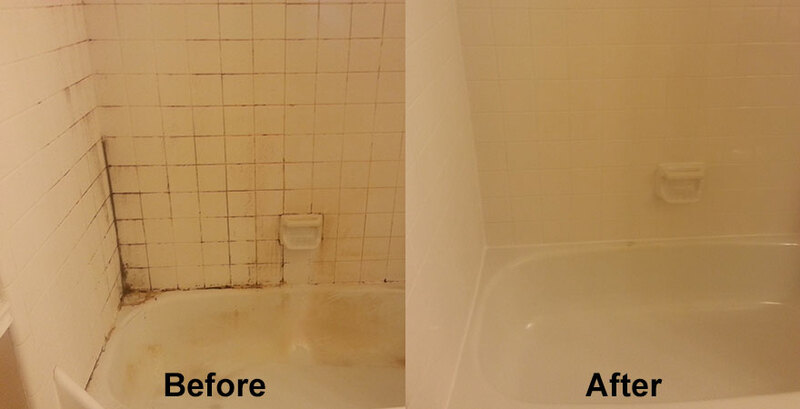 We always did our best to clean in between tenants, but this time it was just too bad to get by with a good cleaning. Tom was very prompt and a really nice guy. I left him in the bathroom and another handyman in another room working on some painting/patch work. It took Tom about 4 hours and he left his bill on the counter. 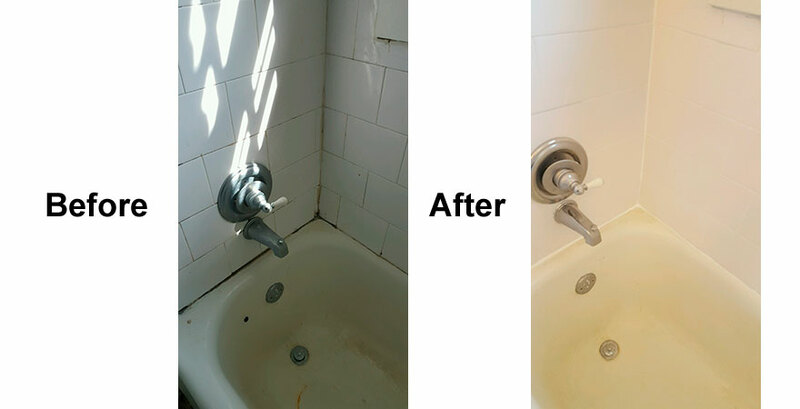 When I came back, I was amazed at how great(clean) it looked and he had actually repaired some of the loose/uneven tiles. My regular handyman saw the bill and commented about how he could have done it for less. I have no doubt a handyman ‘could’ have done it for less, but the quality of Tom’s work is FAR superior to anything that handyman has EVER done for me. It was worth a little extra money to get it done right. Tom is very focused. He does one thing and he does it well. Any grout jobs will definitely go to Tom. 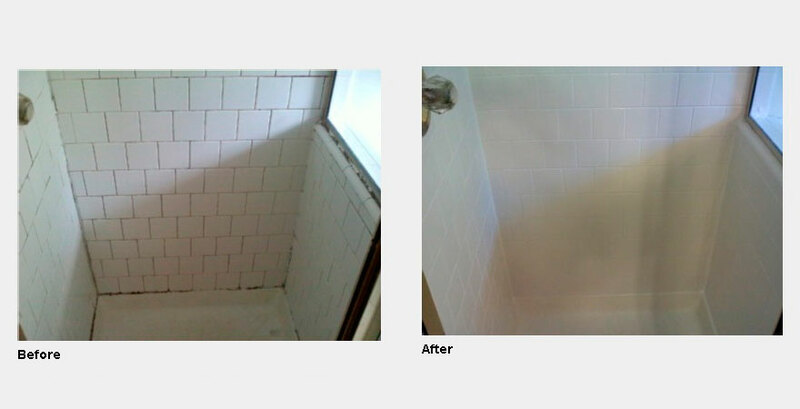 I used Mr. Grout for a bathroom shower wall tile repair. I found him very knowledgeable as he explained the reasons for the wall and tile damage. Unlike most contractors, he asked me to review his work as he progressed to ensure my satisfaction. I would highly recommend Mr. Grout for ANY tile and grout work. 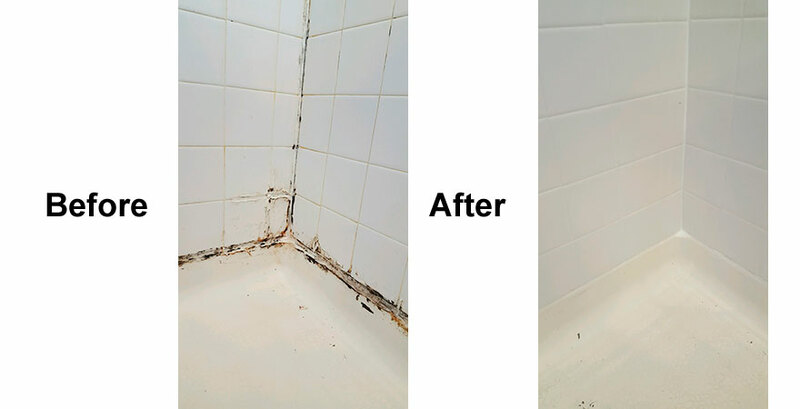 I hired Tom on the spot after he explained how he could make my shower surround (4×4 white tiles w/a black border) look much better by redoing the grout, and how he could correct some sloppy work done by the installer around the rim of the tub. He did the job quickly, kept me informed, and it looked great! The only downside? 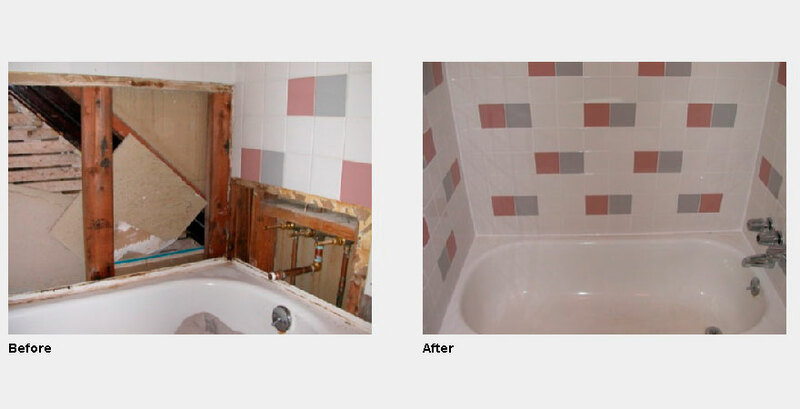 When he was done, the rest of the bathroom grout looked bad next to Tom’s work. 🙂 The difference was amazing. I asked for a price on doing the rest. Tom came back the following Monday and finished it off. Love my “new” bathroom! 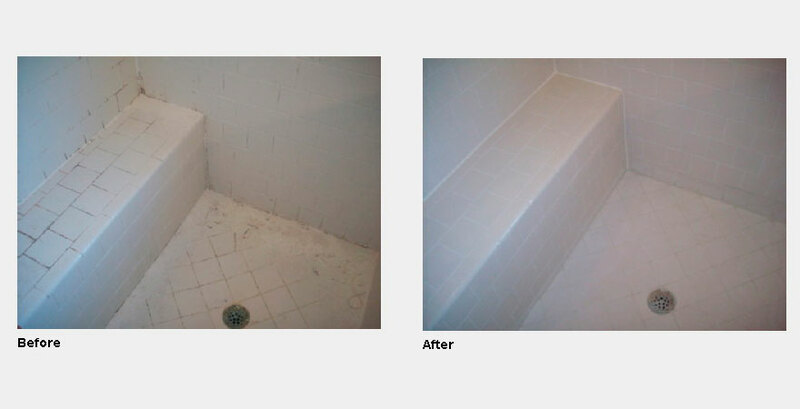 Bottom line: I wouldn’t think of hiring anyone else to do grout/tile work. My realtor recommended Tom and my in-laws used Tom to re-grout 2 bathrooms. He did an excellent job on our shower. His prices are reasonable. Tom’s work is very neat and the final product looked amazing! Courteous, on time, professional yet personable. Before you invite someone into your home, you always want to feel confident and comfortable the person will be not only a craftsman but honest and respectful. If you’re like me, you’d rather pay a bit more and get the job done well and the RIGHT way than someone that cuts corners or doesn’t pay attention to detail. Call this guy. 2018 Copyright by YDO, All Rights Reserved.